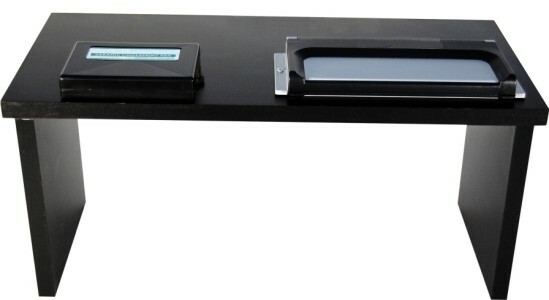 Folding Fingerprinting Station, with Single Cardholder and Dark #3.5 Fingerprint padOur series of Folding Fingerprinting Stations are easily stored when not in use and also allow you to take your fingerprinting station to the field. These sturdy stations have fold up and lock down legs and are available with ID Technologies, Inc. Pads, stainless steel inking slabs, or glass inking slabs. 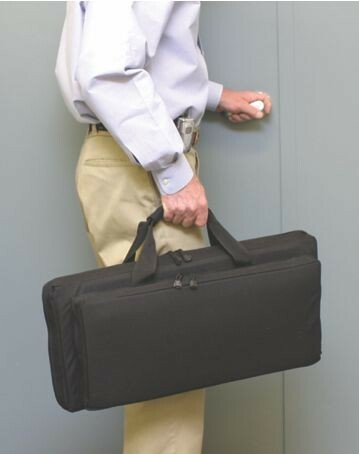 Our Folding Fingerprinting Stations measures 21-1/4"L x 9-1/2" W x 10" H and are supplied in a lifetime guaranteed, tough, black nylon carrying bag with built-in protective padding.